What To Do In Lil’ Ol’ Cleveland! 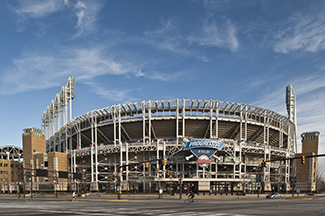 What To Do In Lil' Ol' Cleveland! “I’m bored!” These are the dreaded words no one wants to utter. It’s a condition that strikes when you least expect it. It affects millions of people every day and is constantly spreading faster and faster until eventually, no one will be safe from the scourge called boredom. However, there is hope. There is a cure. And all you have to to do… is live in Cleveland Ohio! 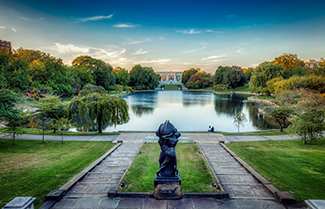 If learning is your siren’s call, Cleveland is not short on museums. Not only are many of them free, like the Cleveland Museum of Art and the Lake Erie Nature and Science Center, but they offer a wide variety of interests. You can view both traditional and modern art from the Cleveland Museum of Art and the Museum of Contemporary Art, learn all about science and how the world works in the Great Lakes Science Center, discover the Earth’s long and unbelievable past at the Museum of Natural History, and walk the halls where the world’s greatest music artists are kept in perpetuity at the Rock & Roll Hall of Fame. This only scratches the surface of all the amazing things and subjects you can learn about in Cleveland. With over 30 listed museums there’s always something to discover in Cleveland. Do you like sports? This question is usually met with a snicker. “Of course! Who doesn’t like sports?” is the answer we typically get. Well, no matter what season it is (Reminder: that’s baseball, football, and basketball) there’s a team for it in Cleveland. Here in Cleveland, you can watch the legendary Cleveland Cavaliers break ankles on the court at Quicken Loans Arena Rocket Mortgage FieldHouse. You can see the tenacious Cleveland Indians knock a few out of beautiful Progressive Field. And you can stand behind some of the most fiercely loyal fans in all of football in FirstEnergy Stadium while the Cleveland Browns take it to the pound. Sports are the heart and soul of this city and it shows. It permeates through the metropolis and is a huge part of both entertainment and economy. Also, all stadiums and fields are put to great use when the teams aren’t playing. Amazing events like concerts and children’s activities are frequently hosted in each of these locations during offseasons, showing how much our teams and community support each other. There’s nothing quite like the great outdoors. Communing with nature and it’s beauty, breathing fresh, clean air, soaking in the sun! These things you’d have to get from a rural area or small town, right? Wrong!!! While I cannot guarantee that last item, with Cleveland Metroparks’ 18 reservations and 23,000 acres, you can experience everything nature can offer right in the city. All the parks have a myriad of events and activities for education and fun all year ‘round. These parks are located on beautiful reserves and along Lake Erie, giving free, fun, and healthy adventures for all. You can find some of Cleveland’s premier golf courses in the Metroparks as well. Tee off at Sleepy Hollow or play the back 9 at the beautiful Manakiki. If that’s not enough swing by the Cleveland Metroparks Zoo and have a fun and learning experience for you, your friends, or family! Stocked with exciting events and even more exciting animals, the Metroparks Zoo is a great place to be. Finally, if all of that wasn’t enough for you, you can enjoy the many places to go in the heart of the city! 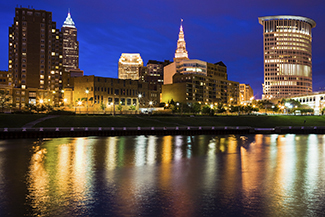 Clubs, bars, live music, Cleveland has it all. There’s the world-renowned Playhouse Square where you can experience some of the most well produced and performed plays period. Feeling lucky? You can get your thrills and fun at Jack Cleveland Casino. Catch a comedy show at any of the many venues in Downtown and laugh until it hurts. So before you let the words “I’m bored” pass your lips, remember: you’re in Cleveland. This city is a focal point of food, fun, culture, and activity. There’s always something going on in this big ol’ city of ours. You can learn, buy, and experience everything you could ever want all wrapped neatly along the largest bodies of fresh water in the world. Trust me, you’re not bored, you just haven’t looked around you yet.